Philippines. 2013. Bacoor, Cavite. 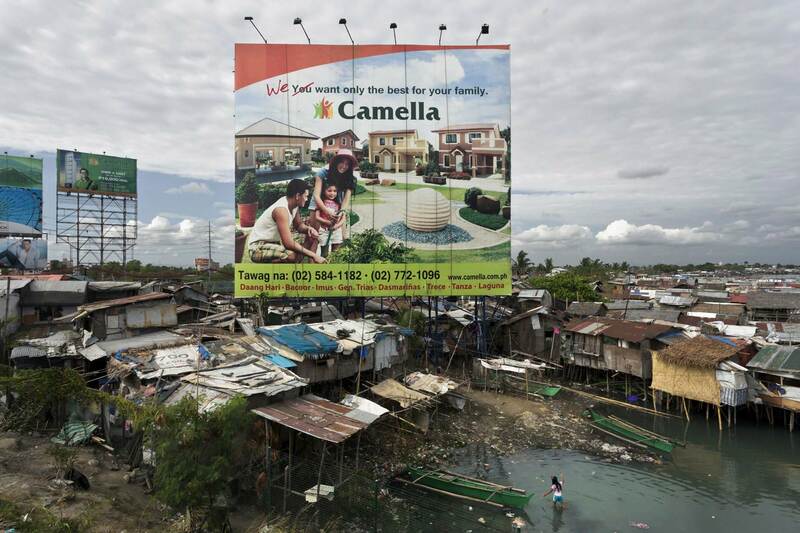 Real estate advertising billboard standing on top of a slum. Many poor Filipinos see foreign work as their only way to climb on the economic ladder out of poverty.